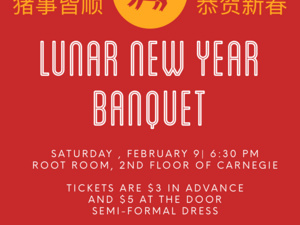 The annual Lunar New Year Banquet hosted by the Chinese Student Association! As usual, the event will feature delicious food and amazing performances. Tickets are $3 in advance and $5 at the door (cash only).